The Navy’s ultra-versatile P-8 Poseidon maritime patrol aircraft has risen to all-star status both within the halls of the Pentagon and on the export market. It has been at the center of the search for MH370 and at the tip of the growing dispute over China’s man-made islands in the South China Sea. Now it has has made headlines once again, locating marooned men on a deserted island in the Pacific. For nearly three days, the three men had been stranded on the Pacific island of Fanadik after their 19-foot skiff capsized. They had originally set out from Pulap island on April 4 and after they were thrown from their skiff, they swam through night before finding temporarily refuge on Fanadik island. 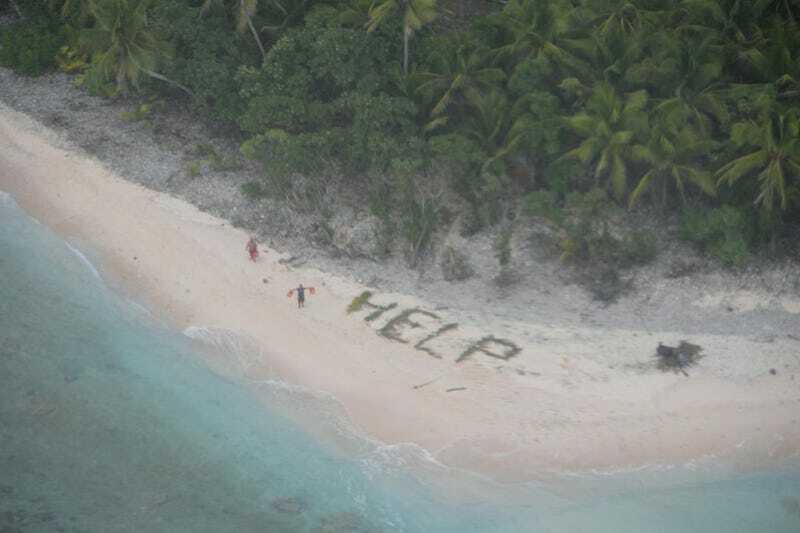 Once there, they constructed a large “HELP” sign out of palm leaves on the deserted island’s small beach area, a move that likely saved their lives. The men were reported missing after not checking into a flight they were scheduled to leave on the next day. The U.S. Coast Guard promptly requested support from Maritime Patrol Squadron Five, the “Mad Foxes,” and their P-8s that are currently deployed to Misawa Air Base in Japan. Once the P-8 spotted the men and their make-shift signal, a boat was sent to recover them. The rescue assist is just another notch in the P-8s belt in the Pacific Theatre, and with India, Australia, and now the UK ordering the multi-role militarized 737 derivative the question is what will Poseidon do to impress next?